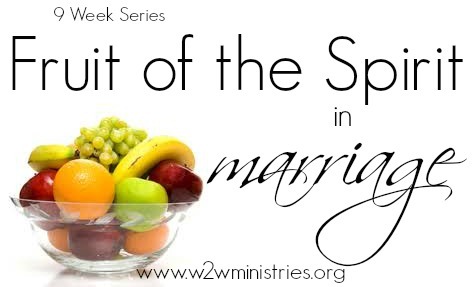 Today is the third week in the Fruits of the Spirit in Marriage series. To read the previous week's, click on love and joy. That doesn't mean the Lord will fight your husband and you will win this disagreement. But if we put God at the center, He will work in our marriage. If we are faithful to God and our husband in all ways, God can restore our marriage. God doesn't desire for your marriage to be broken. Marriage is a physical view of God's relationship with His church and that is a relationship He desires to be mended. If your marriage is going through this stormy season, be still, take it to the cross, and let God fight for you. Pray for your husband, pray for your marriage and pray that God would help you be the wife you need to be. Ask God to show you where you are at fault, then work to mend it. Offer grace and forgiveness where needed. And put God at the center. Today ask God to bring peace to your marriage, your husband and to your heart. If you would like pray for peace in your marriage, please leave a comment or email me at jenifer@w2wministries.org.